Product #18399 | SKU EB-4 | 0.0 (no ratings yet) Thanks for your rating! Supports up to eight ENDURA PowerLink batteries. 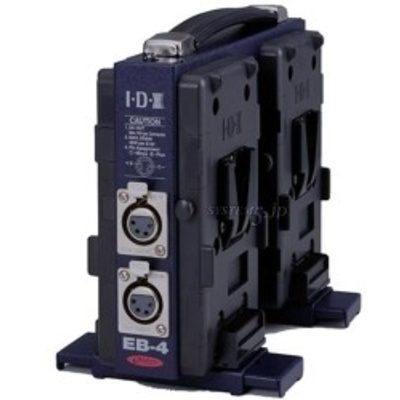 The ENDURA EB-4 V-Mount Power Base Station from IDX supports up to eight ENDURA PowerLink batteries allowing up to 748Wh of power. Features uninterrupted battery changeover, low voltage warning lamp and extendable support feet. One 10' XLR power cable included. Indefinite power maintained with built in Hot Swap Endura System which will swap run down battery with a fresh one without having to power down the equipment, and power remains continuous for as long as fresh batteries are available.